The weather is warming up in the Northern Hemisphere, and it’s the perfect time to take long walks and enjoy the outdoors. 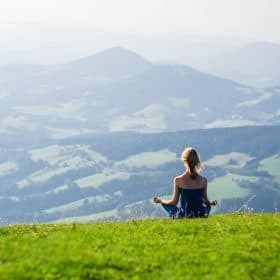 Walking is excellent weight-bearing exercise that builds your bones, increases energy, improves your mood, and exposes your skin to fresh air and sunshine. But it’s not easy to enjoy all the benefits of walking if your feet are in bad shape. So today, I’m going to share five tips to keep your feet strong and healthy. We’re also going to explore some fascinating data that compares modern skeletal integrity with that of our ancient ancestors, who engaged in a great deal more weight-bearing exercise than modern humans. These five tips apply to all seasons, so no matter what time of year it is, you can keep your feet in top shape and enjoy exercising, dancing, moving, or whatever activity involves motion! If you’re concerned about bone density, you might not have considered your “foot bones” – the metatarsals (the long bones that terminate in your toes), the calcaneus (heel), and the various puzzle piece-like bones of the arch and ankle. While osteoporosis treatment tends to center around the spine, hips, and legs, the bones in your feet need to be strong and flexible, too. In fact, healthy feet are one of the keys to good balance and fall prevention. Amazingly, your feet have 38 muscles that make up a quarter of your body’s total number of muscles. On average, your feet take 1,000 pounds of force every single day, and from the age of one to the age of 50, most of us have walked about 70,000 miles. It’s clear that you shouldn’t neglect your feet! So let’s get started with the five helpful tips for keeping your feet in tip-top shape. I enjoy wearing heels for dressy occasions, and that’s okay. The problem is when high heels are worn for many hours every day or even several times a week. The feet were designed to take pressure, but in high heels, all that pressure is concentrated in the toes, especially the big toe joint. This can result in painful bunions and misalignment of the toe joint itself, which may have to be corrected surgically. It’s also a good idea to spend some time walking barefoot at home, but make sure the floor is not slippery or uneven. Flip-flops (also called thong sandals) epitomize summer. They offer little more than an array of colors, however – flip-flops lack an ankle strap (hence the flipping and flopping of the shoe), and therefore must be gripped with your toes with each step to keep them from sliding off. This affects your gait and increases your risk of tripping. Like a lot of less-than-ideal footwear, it’s okay to wear flip-flops for short periods of time, such as walking to and from the beach or around the pool. But for everyday footwear, choose sandals with an ankle or heel strap, or a cupped heel. If you choose regular shoes over sandals, look for arch support and shock-absorptive soles. I know it’s hard to say goodbye to a trusty pair of running or walking shoes. But the unfortunate fact is that shoes wear out, and their ability to absorb shock decreases with time and wear. It’s sometimes hard to tell when or if you need to replace your favorite shoes; the loss of support can be subtle. After a year of frequent wear, though, it’s likely that your shoes are simply wearing out. A good test is to try on a new pair in the store, and see if you notice a big difference in support. If you do, then your old shoes need to be replaced. You may think it’s a good idea to choose ballet flats for daily footwear over heels. While they certainly put less strain on your toes than high heels, ballet flats have problems similar to flip flops in that they offer little to no cushioning for the bottoms of your feet or support for your arch. There are shoes available that have a similar look to ballet flats, but they do have supportive soles and durable straps. Socks are an important safeguard against fungus in closed shoes. They help wick moisture away from your feet and act as a barrier between your skin and the material of the shoe. And fungi are persistent – they can survive awhile in your shoes, so you could re-infect yourself each time you wear the shoes. Your best bet is to avoid foot fungus altogether by wearing socks. If your feet are in good shape, it’s much easier to get moving and engage in the sort of loading exercise that builds bone. That’s important in this day and age when it’s far more likely to see a person sitting behind a desk or in a car than climbing a tree or foraging for miles. But our bodies are actually made to do the latter, and according to some fascinating new research, our skeletons are fundamentally affected by our modern, sedentary lifestyles. When researchers analyzed the trabecular (inner, spongy bone) structure of ancient human populations, they found greater plasticity and density among the hunter-gatherers than the farmers. After correcting for changes in diet and body sizes, researchers concluded that the loss of human bone strength is a direct result of less exercise – specifically, weight-bearing exercise. Hunter-gatherers walked long distances in search of sustenance, and spent their time climbing trees, carrying the food they found, sprinting, and engaging in all sorts of motions that are just not necessary for modern lifestyles. But such movement is still necessary for strong bones. 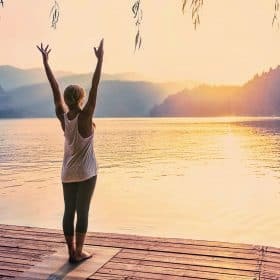 Here’s the good news – your body is still perfectly capable of achieving strong, “primal” bones; it’s just a matter of restructuring modern sedentary lifestyles to include a great deal more movement. While most of us can’t pull up stakes and become hunter-gatherers again, we can engage in regular, weight-bearing exercise to strengthen our bones. 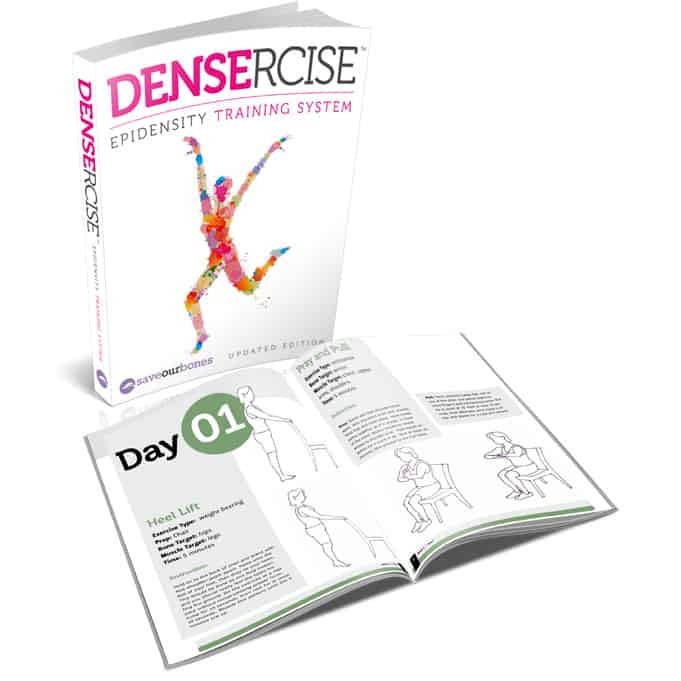 The importance of motion cannot be overemphasized in the fight against osteoporosis, which is why I created the Densercise™ Epidensity Training System. As the study above points out, you are not genetically “doomed” to weaker bones just by virtue of being a modern human. Your bones are capable of rejuvenating and strengthening under the healthful stress of load-bearing motion, and having pain-free, healthy feet is an excellent place to start. It’s exciting to think of the potential that resides in your own body! Today is a good day to get on your feet and awaken it. Sorry, but I can’t agree with you.. Because: There’s a lot of beautiful songs, and I just can’t dcidee which one of them which is the most beautiful. But it IS beautiful indeed! Vivian how many pages are there in the Densercise e-book. I dont like to exercise from a computer, therefore I would run off copies from the e-book if that is possible. I have really big bones and my feet are not only large, but wide and plump. I cannot wear any shoe without socks or hose as my soles sweat. Vivian or anyone else, do you know a soloution how to reduce “sweatty soles”? My doctor had prescribed some meds, but nothing has helped – many solutions, like bathing in tea for 20 min. for 10 days, etc. Help please. Many, many years of wearing cramped toe, high heeled shoes (I’m 5 ft) has at 60+ years old resulted in the formation of bunions. They started several years ago and have increased to unsightly, marble-sized bumps. So far, they have not caused me any discomfort but I am much more aware of the type of shoes I wear, choosing a wide toe box when possible. Heels are reserved for special occasions and for short periods of time. Live and learn . . .
You are not alone in your experience, Diane. It’s clear that you’re taking good care of your feet now, and thankfully the bunions are not causing you discomfort. I like what I hear and see about building our bones. Dancing has always been a favorite movement of mine and always will be. I am very interested in this and I will go to bed and rest my bones to prove it to myself . Tomorrow I will revisit this and do something about it. Dancing is excellent exercise, Kathleen. Good for you for your determination to be proactive about your bone health!